It is early late night. I just came in from Kyudo practice. Mato practice out in the bamboo mantis hidden dojo. There is enough light to see, but do not really need to see much. It is more about feel of the form when doing mato training. Working the form, checking the crosses and the angles, the hand grip, shoulders tension in the right place, relaxed in the right place. Internal Work! I spent most of the earlier evening and day studying the Manual. Working on the possible questions. It is all balance everywhere not only in the shooting, but the study. There is paperwork involved. Well a paper test. I made , working a list and handwriting the answers. Handwriting is weird when not doing it often. It is also a form of kyudo training, forming the letters so even though it is just me reading the letters should be neat at least readable. Finding a good angle to write, holding the pen, there is no conscious breath to deal with or stance, but there is posture. Anyway, yeah I am putting in the time. Will it be enough, no telling. I am back to rethinking about which bow to use. 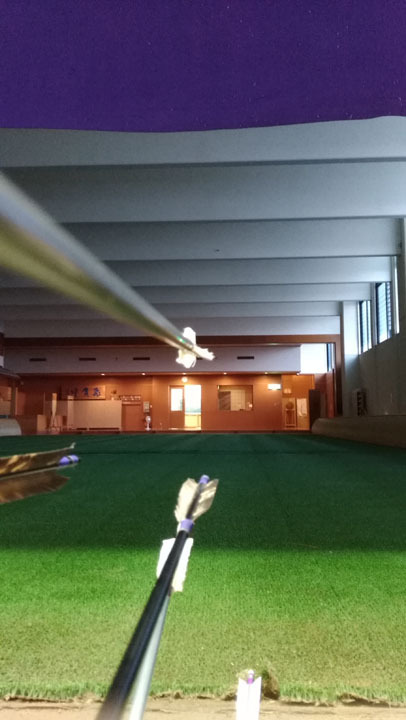 The feel of power with the Bamglass is kind of nice, but with the bamboo, I can really focus on my form and everything as it should be and not fight, at least put least effort into holding the bow and the resistance of keeping it open. I still think practicing with the heavier one is good, but maybe the lighter bamboo is the way to go for the Shinsa. I have another two weeks or so to think on it. A quiet practice the other day. I did not go to the kimono class as I had my first students in the powerboat training school ( yay ). I went to kyudo afterward. It took some mental effort to do after getting up early to go teach. However, yeah that is what training and discipline is about. Doing what needs to be done, even when you do not feel like it. So I shot, I hit my first shot then none after that for a while. After the end of a three hour session I was at 30 something percent. Nothing to write home about. Oh well, more practice. The journey is the goal. One of my other Sensei was there. I am fortunate to have several that have taken an interest in my progress. This one helped me with my tenouchi last time I saw him. Since then I have been trying to do as he said and do as I interpreted it from another sensei. I did not think I was doing just as he said, just sort of. I guess it worked because he said I was doing it right now, or at least much better. I guess it was a matter of where my focus was and angle. This time he corrected my right arm angle. Saying my arm , elbow should not be so vertical. Turn the hand and wrist yes, but arm and elbow should be more horizontal, so at Hanari to Zashin my hand and arm travel horizontal along the same path as the arrow, I should also but more energy “Ki” into extending in both direction, do not let my right hand /arm die, get lazy in travel. It should also have some snap! Yeah Kyudo is more difficult than Shakuhachi. It is so complex, at least at the level I am. Anyway, the beat goes on…the reality drama: As the bow turns. Sat night, I go to the dojo. At the time I am going it usually the time many upper dans are there, and with the Shinsa near I thought it would be crowded. I was partly right. Some higher dans were there but not a great many as I had expected. Ok good. Still they were doing a Shari and I did not want the do that I wanted to just shoot. However I prepare for whatever, and prepared to be drafted! My approach for the evening was a little different than usual, more meditative. I feel like I am on a mission and have to plan carefully the approach. I sat off to myself while changing, and did some stretching, and meditation. Preparing myself mentally for what was ahead. Part of this whole thing with the Shinsa is in the mind, settled and focused. One step at a time, one detail, then the next, piling them on like the points in building the vertical cross. I eased into the practice tonight. “Y” sensei was there. He is still my favorite and a feel a deeper connection with him, most likely because of our connection via, Nogame Sensei and I believe we are the same age. 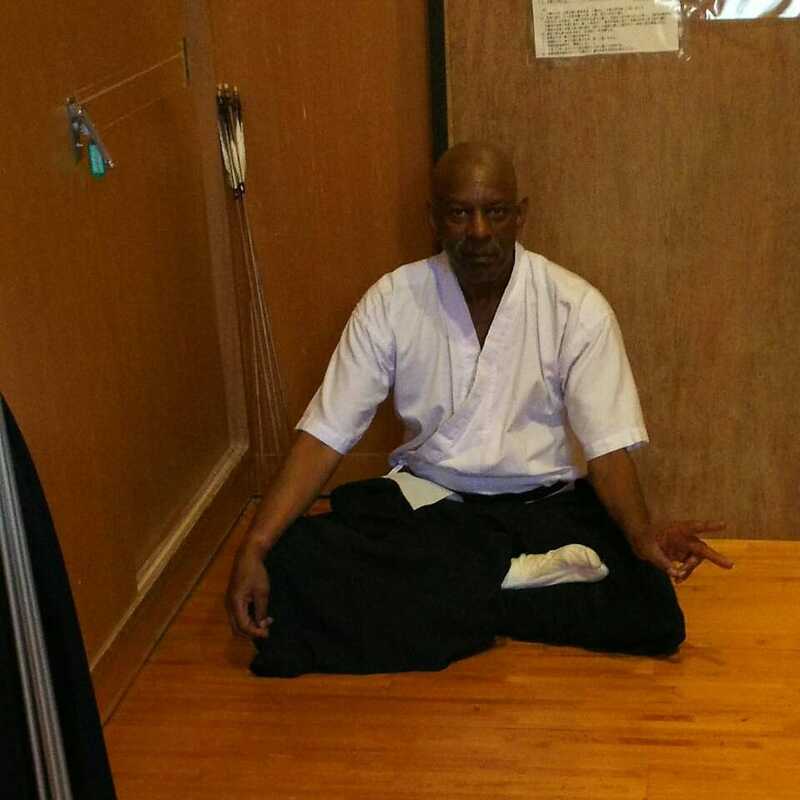 Y sensei is Nana dan now. I saw him talking to someone the other week explaining something about Kai, using closing the ceiling high glass windows for an example of using power, or settling into position for firmness. The windows are up high and we have to use a bamboo pole to reach the window. It is harder to close if you use and ungrounded power. 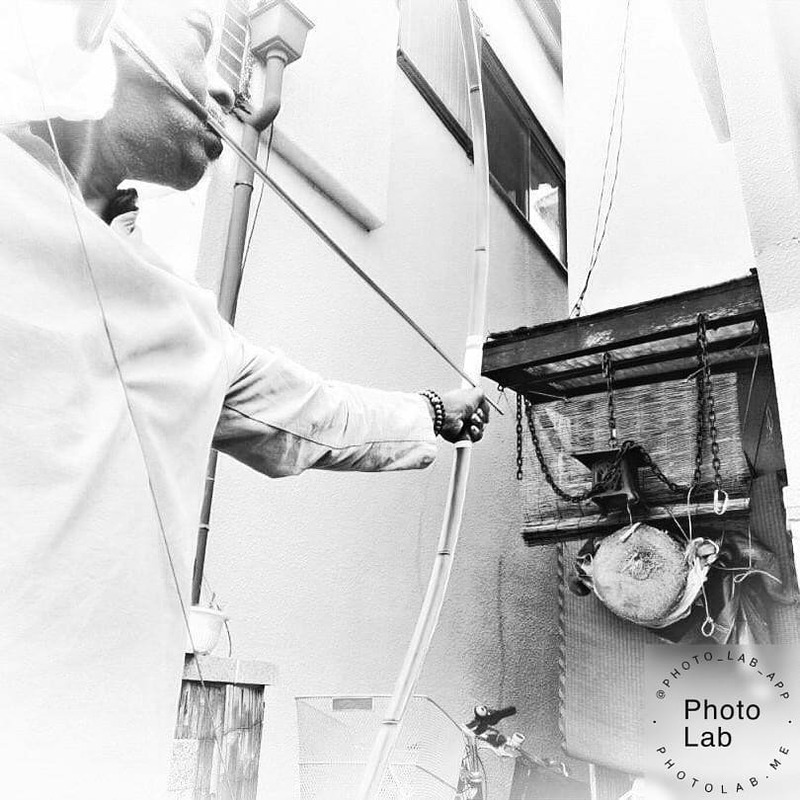 He is not always at Kishiwada, however whenever he is and I am he makes a point of helping me. Once I pass this hurdle I will have a lot of people to be grateful to for their assistance Tonight when I was making ready he said something, which I did nothing full understand. This was just in passing. For some reason my brain deciphered it to mean, do good in the Shinsa next month, pass so I can win some money. Ok I thought that is kind of a stretch but ok. But I just went yosh and did the fist pump. It must have been a close enough response. He seemed satisfied. I made ready to practice. When doing the Shari finished some their even started to packing up. Oh cool I thought, space. I grab my yumi and start with the Makiwara. Y sensei comes over and watches. I go through the points I have been working on. The shot feels ok. Sensei looks, and seems pleased, and a bit surrised he is nodding and saying good, good. I am like, ehhhh really!? I shoot again, another approval. Then he makes an adjustment. I thought oh, boy! It was not a big change but big enough. It was a little bit different, or finer than what I had just gotten a few days ago from W sensei. Y sensei is a higher rank, so I have to pay attention. What he was saying I do not need to have so much tension in my whole arm and hand, the left one. I thought oh ehhhh, that is how I was able to keep my arm from dropping. Y sensei wanted only tension to my left elbow, below that everything should be relaxed! Oh boy! He showed me this drop/settle into the form motion and pushing from the shoulder and elbow. Even in Daisan my arm can be straight but not locked. When coming out of Daisan push and sink into both elbows. Hands, tenouchi should be relaxed. Easier said than done. I tried it a few times he says yes, like that. I am thinking ehhhh! Even hold that with Zanshin he says. Ehhhh! I am not hitting but he is pleased with the results. I am not because my arm started dropping again later. I needed to find the middle control, the fine tuning knob. Just enough tension to hold certain muscles, yet keep the rest relaxed. I worked on that. Slowly things started to click. I judged I am making some progress, because yes, when I set it up just so, the ya go straight. Many times short but straight. I needed to raise my sighting and NOT drop the arm. Slowly the times of hits increased. Even though I had a very very low average. Still it felt like some improvement was there. I also brought in my bamboo Yumi to compare. Much easier to get into position, but dialing back the effort was needed and aim adjustments. I am leaning toward using the Bamglass bow. I sort of like the feel of power from the bow when I shoot, even thought it takes more effort to make the shot. I will consider more. On the other hand I like the lightness of the bamboo and the feel. Everyone leaves, I am alone. The nice time to practice. It is sort dark the lights are minimum and only where needed. At the mato and at the shooting line. A new buddy shows up. She is just off work, I tease her a bit about it being Sat night and she is dateless, practicing kyudo the evening. She says it is pretty dark, is it ok? I say it is pleasant, after a while she agrees. It is cooler and one tends to shoot more from feeling than sight. The body seems to be more sensitive with less other distractions. We shoot for a while longer maybe another 30 min then wrap it for the night. No one else shows up so we close shop and head off. Her to eat, me for home. It was a worthwhile evening to go. I have some conformation I am improving. Y sensei thinks I will do well, if not this time pass next time! I still have time to fine tune. We’ll see. I sort of have a sense, this will be the time. However I am tying to suppress the feeling so I will not be disappointed, no expectations, just doing my best in the moment. Yet at the same time, thinking, hmmm if I do not think firmly I can do this, I will not, but at the same time I should have no expectations, no attachments to success, that is the Zen way. Just do it, with no thought of the end, the prize. The mind thing is a big item to deal with in this process…being there, being focused, being unattached. Some people have a cow when saying Kyudo is Zen. When you understand the nature of Zen, then you understand Kyudo is very Zen. My Cha’n sensei says, everyday life is Zen. involved in doing, focused, but not attached to what is being done or the results. The long and winding road. I am still not sure if I am making progress. Of course the Shinsa will tell me that for sure. When I think I am, I am not. However I am judging that on my hits. That is also just me. Yet, when testing it is said testing does not start until you make the two hits. So hitting is not the point, but until you do there is no point. None of the other stuff is considered until one makes the hits, in most cases. Catch 22?? Well for me, the struggle goes on. I went to the dojo the other day and the main Sensei was there. He worked with me as did the Kaicho. I needed to unlearn what I though I learned on my Tenouchi. I was given direction on that a few days earlier which was correct, but understood wrong by me. on top of a couple of other things understood wrong. Perhaps not wrong, but incorrectly, which still equals wrong. So the language thing has/is affecting me. On the other hand though there are others in the same place as me, doing this longer. Anyway it is not a race, still it helps my poor ego knowing that I am not completely at the rear alone. I have used something as a guide for if I am improving, that is where my Ya hit, or in most cases miss the Mato. I am able to keep the Ya straight in travel now, more often, my grouping is not off to the side, but right below the mato, if I was not dropping my arm they would have hit. With the new clearer info from W. Sensei I seem to be able to control that drop better. His info added to what others have told me. It is a combined effort from the senseis to help me succeed! I have vowed to get some shooting time in daily, even if it is just one Ya. One “mindful” shot minimum when possible. If it is raining or a Typhoon, ok, I get a pass. There was a Typhoon last night, I was busy most of the day and it was late when I got in front of the Makiwara, but I did get in 3 shots! Just a constant review I think is helpful. The same when I was heavy driven to make headway with the Shakuhachi. I vowed to get in at least 5 min a day practice. It made a difference. This will also make a difference…somewhere. I have noticed the difference working with the heavy bow for longer periods rather than the Bamboo. The Bamboo is also smaller in my hand so feels more comfortable. I can really put things in to place more easy. Which brings back the question which bow to use for the Shinsa. I am learning toward to Bamboo for comfort, but the Bamglass has the power. It is sort of like doing Taiji or Shaolin practice. With Shaolin you can cover your mistakes with speed and power, with Taiji you have the time to correct there is no hiding behind speed and power. No illusion, there is only truth. I am sure, pretty sure, that with improvements over the next two weeks I will be ready for the Shinsa and pass at least the next one in Nov. I wanted to pass this year. Even if I do not care for the Dojo in Nov, it gives me another shot of completing my goal for this year. Which in turn would complete my (old) goal for studying in Japan, reaching Yon-dan. 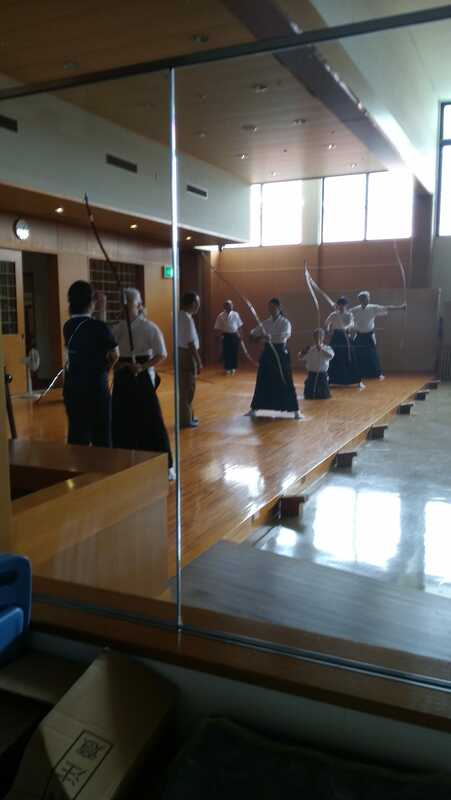 I went to Kyudo today. I had planned on just practice. I hoped for just practice. However I did not expect that to happen. It got there it was somewhat quiet. I was able to get some practice time in without comments. I did ok. Not great but ok. Better than the last session. After a while I was at 35% hit rate. It was an improvement from the other day. There were even a couple of back to back hits. These are the best. Mostly I just wanted to take some time and analyze my shots. I noticed another classmate, dojomate? Hmmm, also testing yet again for Yondan, since I have been at it. We have tested together before several times. She was getting some private one on one time from a sempai. I did not understand what he was saying to her. However I could see from his actions, he was telling her the same things I was working on. Lining up the upper body, turning and extending the left shoulder. A better ” jumonji”. So I am thinking yay! I am doing right, on the right path. Also if she is working on this and she speaks Japanese and has been doing this longer than me, maybe I am not doing so bad with my poor Japanese. The results showed whenever I line up correctly. Bam hit! The thing is making sure I do it each and everytime. Even though it feels like I am doing wrong, the hit is right and even when I miss it is just below the mato or just above it! I was into my practice. After a while several sensei show up. I thought oh no, there goes my peaceful practice. At one point I hear my name and “asked” to join a group to practice Shinsa Tai Hai. I did not really want to , but I could not say no. I joined, I was quite surprised when I made both hits, someone else was also, I heard an “oh”. Ok so I was feeling pretty good about my effort. I am on the right track. Then it happened. One of my several sensei gave me a correction, on my tenouchi! That is usually a death blow to my progress thoughts. Ok , I follow his advice, it was difficult, my thought was just do it! I noticed a few others, including sensei do not have their thumps this way either. Ok, I will just follow. My bow rotation improved greatly, however it is a very uncomfortable hold, grip for my hand. Yet, I figure I would just deal with it and get use to it! One thing from today’s shooting I am confirmed I am doing the shoulder thing correctly. When I missed the mato, it was because my arm was dropping. My Grouping was all just below the mato, not just off to the side. That to me was progress! I need to work on not dropping my arm. Perhaps the advice today from sensei about my arm position , not bending it and tenouchi will help with that. I did notice my left arm seems to have more strength, bottom support when I do as he said along with the better rotation. So with some more work, maybe maybe maybe I have a chance of passing. Not getting my hopes up, just wishful thinking, backed with effort. Because wishing and hoping are not enough, with no effort! Ok, back to the Tai Hai practice. It was a good thing I joined the group on the shot. I did hit both shots, but I made an error leaving the floor. 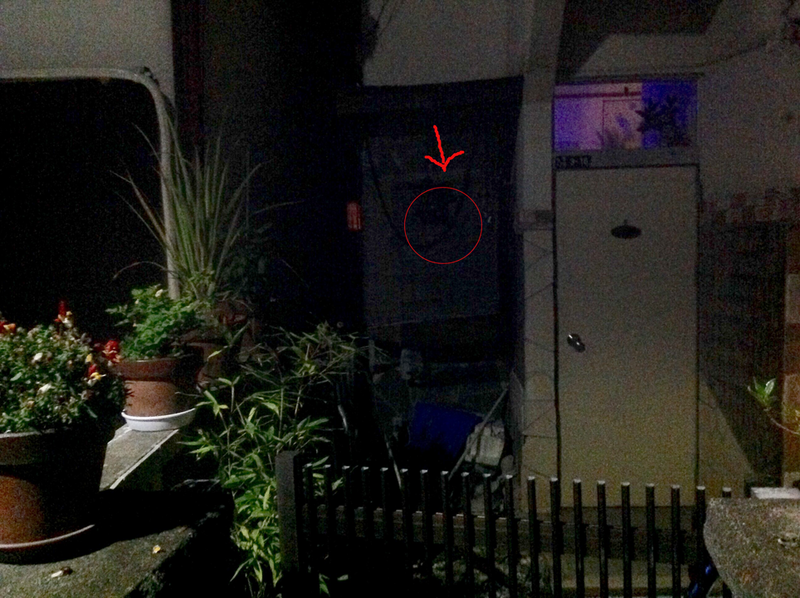 It had been setup marked for the Shinsa, so it was different from the regular layout. I was schooled on it and where to bow. So it was a good thing to join the group. I may have gotten this info and correction another time, but, maybe not, therefore I was grateful for the guidance! Then after that I got the corrections about my arm and tenouchi, which threw my whole game off, but oh well I will make correction, adjustments again. To survive one adapts. I am thinking even if I do not pass this time, I will be in a much much better place for next time. Sooner or later it will all click into place…and Bam!! Yon-dan in da hous!!! LoL! The clock is ticking on the countdown to Shinsa. A month away from the date of this post!!! Gulp!!! How did that happen? sugoi! I have stepped up training time. Two times a week at the dojo. Even if the minister of finance complains. She does not mind me training, she worries about the transportation cost. A home goal of Makiwara daily. I have that at home so I will make as much use of it as possible. If my crosses are right , my shot should be right. I think I understand. Just a matter of adjusting the height after that, maybe. Maybe it will matter , maybe not. However it is me giving it more effort. I went to class the other day. 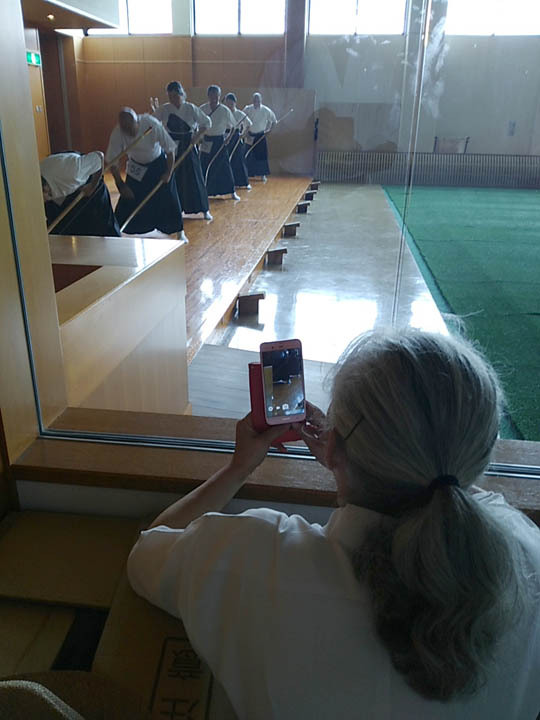 There was no formal Kimono class because of Obon. So those of us there just practiced. It was my first full day of using my Bamglass yumi in a long time. 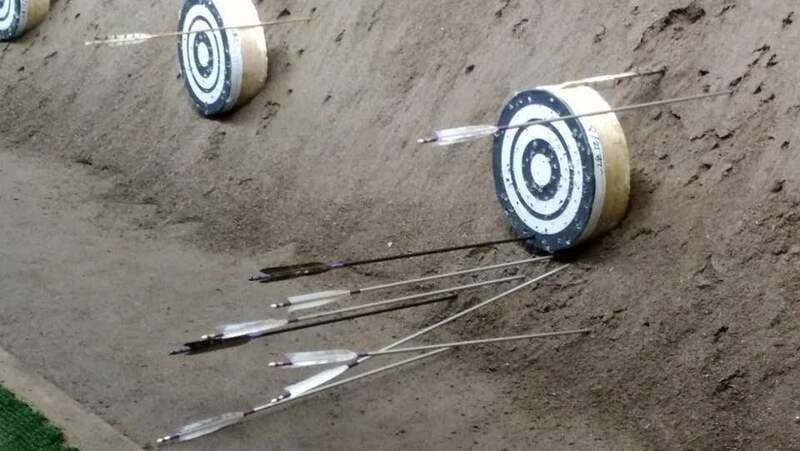 It is an experiment using the heavier bow for most practice. Using the Kung Fu philosophy of using a heavy training weapon. I had thought at first using the softer one for daily would give me the chance to communicate with the muscles easier, being under less strain, less tired. Now perhaps since I have identified which muscles are needed, being under pressure gives me the opportunity to strengthen them, control them better. So when using the lighter bow, I have the power already and the control needed. All speculations. My score of the day was lousy. Not unexpected at all. I got 25% hit rate, none of which were back to back. Everytime one out of four , same as the tournament. I will not let it bother me. After all it Is too late to back out I already paid my money. Well I coul back out but either way I waste my money. So I might as well go through with it, an give my best shot, as it were . “You don’t play , you don’t win”. This is a California saying about playing the state lottery. I need to figure out now which bow to use at the Shinsa. I have some time to work it out and do some tests. For now I just need focus on the moment. Mindful is the vogue word now. I am understanding more how much having everything lines up is important. 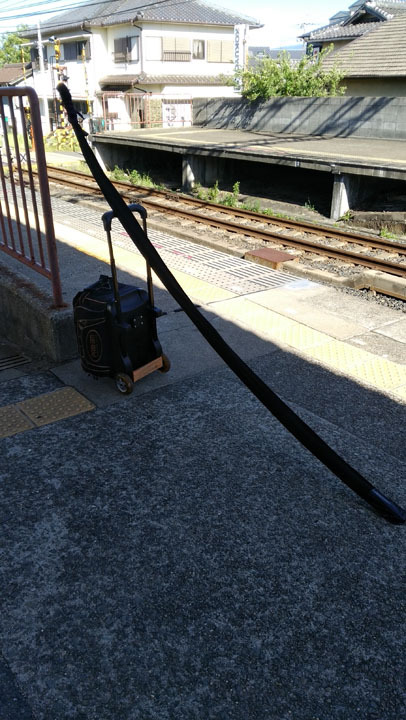 A friend , a Go-dan, said once there are no curves in Kyudo. Mostly true. I am seeing the better I am lined up with the mato, and keeping that line straight the closer I am to hitting. I has found of late if I give my left shoulder a bit more extension and my right push back more the straighter the arrow flight. And so another Solar circumnavigation is done, and as one thing ends another begins. Here I am in Japan at sixty plus something, feeling blessed. 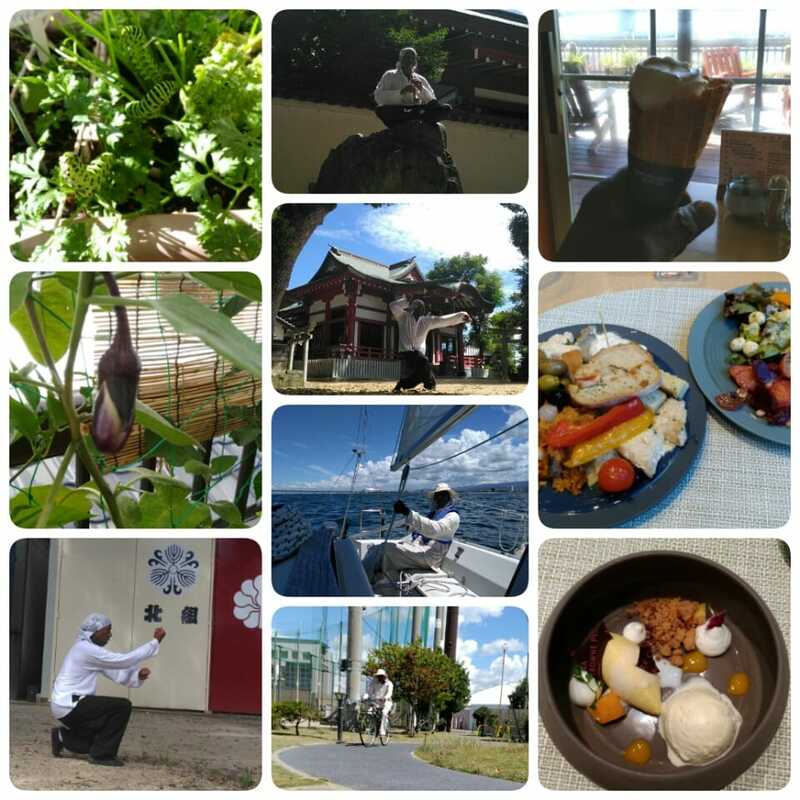 Sailing on occasion, Shakuhachi study, Kyudo Study, Still able to do Kung Fu, although not teaching. Still it is a part of my life. It was my first stop in the morning of the day to go to the local Shrine and practice yet another form of Meditation, “Motion Chan” aka Kung fu. The grounds are peaceful, most of the time, but early morning had that extra quality about it. Under the shade of trees, the sound of the birds, danced in my ears. It was going to be another hot day. Even early it was already quite warm and humid. I have four items to practice, that I have made as my “practice”. Yang 24, Chen 24, Hsing Yi, Bum bo Mantis. I have been getting in Tai Chi in the mornings on the way to work. But it has been a while since I have done my full practice. Today was good, I wet down with oil the mosquitos do not like and was able to get through the sets without being bothered. Even into playing some Shakuhachi and grabbing a few pictures I was unmolested. The next morning was fairly much the same. Less humid maybe, I did not sweat as much. or it was the clothes. I played more flute. I figured since it was the first day of Obon I should as a Komuso play a few traditional Komuso songs. I played Tamuke the offering song for the departed. Even though I was at a Shinto Shrine not a Buddhist temple, it still seemed fitting. Thanking the spirits there for letting me practice on the scared grounds. I returned home with my top almost soaked from my water-loss, in the humidity, but it was cool. I felt in a good place having got my full practice done. I had done a little garden work in the morning before I left to train. I had a turf battle with a horde of caterpillar which had invaded my parsley. I was surprised that they tried to bite me when I went to remove them. I was reminded of a saying. ” your arms are to short to box with God”. As such was the case with them. I am very good with chop sticks!! The conflict was short. Banishment was carried out. Next on the list for the day was getting a sail in. I was looking forward to it, but not overly so. I did not want to go to the “master’s” marina, or see him. More so not see him, and the boat was going to be hot hot, no shade, no cover. However, since I was able to take advantage of that perk as a instructor, I did. There was not supposed to be much wind that day, however the wind was perfect I should take advantage of the opportunity. I was able to sail at a nice clip even under just the main sail. I was feeling lazy and mostly just wanted to get the sailing “chi” but did not want to work much. As in trimming and tacking, putting the extra sail on off and away. If there was a roller jib that would have been nice , but no, none. So I just used the main and it was perfect. I got the vibe, the energy, the Chi without a lot of work. While there was good wind there was also a lot of chop. I could feel myself really needing to focus on the horizon a lot, even with taking the seasick pill. I did not wear my wrist bands, I should have. maybe I needed that little bit of “xtra”since I had not been out on the water in long time. No sea legs I guess it is called. Even still it was a good sail, a good reconnected to the water element and wind. Feng Shui of the earth. I felt like the return of Capt Zen. I was exhausted when I got back to the dock. I am glad I had chilled water with me. I did not work much but the heat and sitting in the sun took my strength. After I got the boat put away I went to one of the seaside shops there at the marina and had a “softcream” cone. and relaxed in the a/c for a while. Once a felt normal again I mounted my bike and headed home. My wife and I had dinner plans at a restaurant we had received free dinner tickets. They were given to us as part of thank you for attending a funeral of an “aunt”. Interestingly it is the start of Obon, a remembrance of the deceased time in Japan. We had received the tickets a long time ago but it worked out to go now for a couple of reasons. So it was like a birthday gift from “auntie” for us. My wife’s birthday is the next week. It was a mediterranean meal. For me perfect! I ate a lot it was an upscale buffet type setting. Somethings had meat , but enough other things did not, so I got to double down on some things. My wife was not as pleased with things as I was. 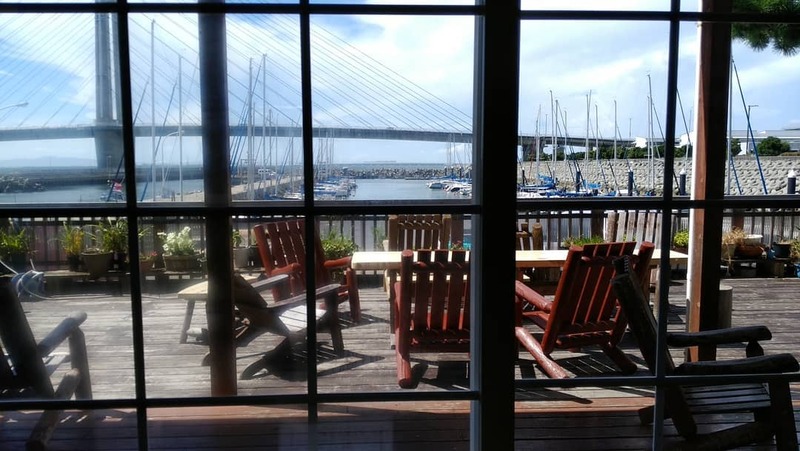 She was also surprised how busy it was, because the place was so new and Obon was the next day. Anyway I enjoyed. 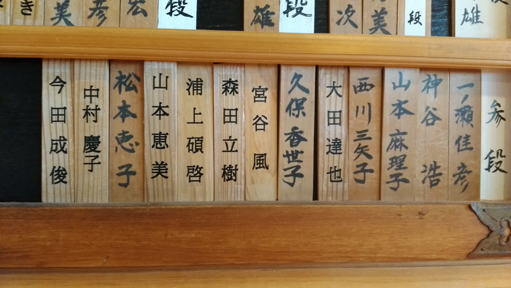 I took my Shinsa paperwork into the dojo today for Watashi Sensei to review. As expected there were errors and changes to be made. He had me call my wife to explain, after some time on the phone with her all was clear and I was told with the correction I could just mail it to the headquarters. Hopefully it will turn out ok. I am already depressed. The Tourney on Sunday gave me enough of a lift to think I could have a chance at being successful in the Shinsa. Tuesday at class I was not so sure. However after a little poking I figured to go ahead anyway. Sort of as a practice Shinsa again and also to be with my five classmates of the same rank also testing. Sort of like one for all, and all for one musketeers thing…sort of. On Tuesday one of my Sempai noticed me hand shaping my Yumi. I was told by another Sensei I needed to do it often maybe every time I shot. This sempai did not think it was good what I was doing. I explained why. Hmmm he said looking at the Yumi. This is a Bamboo yumi made in the States by someone who learned in Japan. Other than the very top part which he did differently for better rotation, I guess, looks the same as made in Japan. I have to shape the top often as I said, I was told. My Sempai told the Kaicho, the Kaicho came an looked at the Yumi. Hmmmmm he said. This part is delicate, it is not good to shape it the way you are doing it. Then then showed me a wooden piece which can be placed on the Yumi and string to help set set the twist correctly. So this is not all that uncommon I guess. Set it and leave it for a couple of days it will be fine he said. oK, So I am thinking I should just use my other Yumi as my main practice bow. It is Glass and Bamboo and heavier. Made in Japan. I placed the “shaper” on to the bow after practice and left it to reset. I returned on Thurs, to check on my bow and to have Sensei check my paperwork for the Shinsa. The Bow was better now, it worked, however it soon returned to the original shape. I was disappointed. I shot the rest of the day with the “Bamglass” bow. I shot poorly which was expected. I had to adjust “things’ to use the stronger, thicker, heavier Yumi. I asked Sensei which was a better yumi for me to use on a daily shoot. The Bamglass or the Bamboo. He said the Bamglass was the one to use for “everyday”. The Bamboo for once in a while. Sigh. The Bamboo being lighter and weaker was easier to shoot for long practice periods. but, Oh well in Kung Fu we train with heavier weapons for a purpose. So I would look at it that way. However Which should I test with? I have to set focus points for both, as both are different. Switch back and forth before and event to get use to both ? Again my shooting for the day sucked. Worse now with a different bow. Oh well I am already signed up to go for the most part. Sometime we need that push, like a bird from it’s nest. 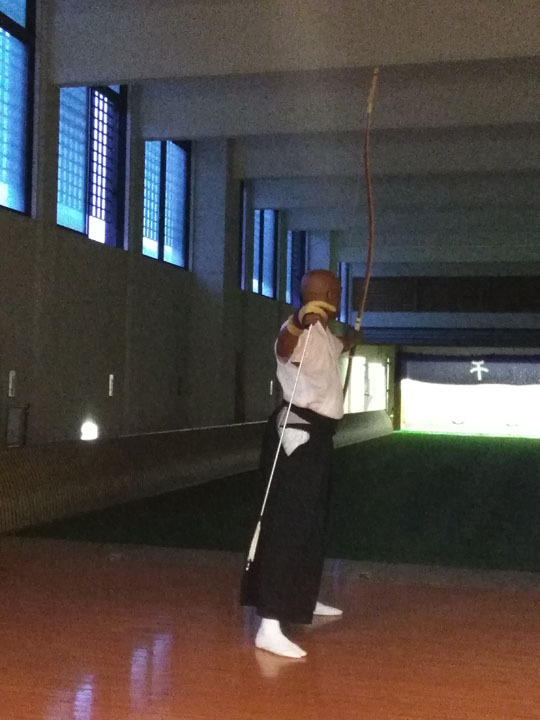 I also faced the real truth of in Kyudo it is not the equipment, but the Archer. After I got a little better with my height adjustment. I notice my Ya going to the same place as they did with my Bamboo Yumi. This proves, I am the Problem. The issue is with in me. Very Zen. Yeah Bad choice to attend this Shinsa session. Watashi Sensei gave me some time on corrections. I did get some helpful things to work on. I returned on Sat, today. I figured If I am going for it, I should do it right and put in some more practice time, as much as possible. I am working sort of again so I should be ok with the minister of finance. With the Shinsa so close and it being at our dojo the place today was busy. It usually is on Sat but seemed more so to me today. More Senseis on the floor. I did some warm ups then shot. I hit with my first two shots. Big surprise to me. It went down hill from there. I ended up with a 25% or so hit rate. 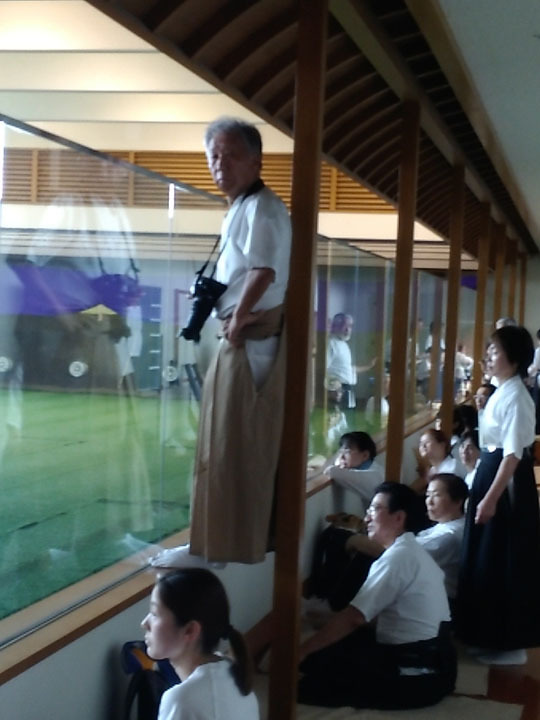 Not good going into a Yondan Shinsa. The Kaicho gave me some one on one time today. I got more helpful corrections, Seems the explanations are getting more detailed now. Or making more sense to me now. I sent a lot of time today watching others shoot and get corrections. I found the shoulders being to tight, raised, alignment is a common issue. So it is not just my issue…Still others are shooting better, more hits it seems…Yeah I am not ready. However, Shinsa is part of the training pass or not…it is a mind thing. Last week at our dojo we hosted a “Goodwill Tai Kai”. There were three maybe four local Kyudojos involved. One of which was the dojo that I could not join. I have mixed with them on several occasions and am friends with a few members. Still it is the first thing that comes to mind when I see them as group. I am glad though it worked out as it did. Amitoufo. It was a very hot day. We had been having a heat wave as of late. We made the best of it. We had a lot of airfans blowing, the gym even had the a/c on. It was not really that helpful unless standing right next to a vent. Anyway it did not affect our mood. There were a lot of smiles and chatting on the sidelines. It was not a huge tourney, it was a comfortable size to finish with time left over to just shoot and practice. The dojo closed at 5:00 on Sundays. There was no “master” doing some kind of formal thing at the opening. We just bowed in, a few statements, then got right to the shooting. It was otherwise a regular Tai Kai. The shooting order was already worked out and printed, that was different. The cost went up to 500 yen from 300. Still ok! One of my Sempai Sensei gave me the “go fight win” thing before my shots. I am always surprised when finding out who was paying attention to my shooting. Afterwards, the Dojo Kaicho gave me some well done comment. As did Yamashita sensei, now, a Nana-dan. Watashe sensei, the main sensei had a good chuckle when I was leaving the floor after my fist round. He corrected me as I was leaving. Oops! There was a new arrangement on where to exit. I cut in front of Honza, instead on behind it. I had been thinking about use not this tournament as a gauge if I should take the Shinza next month. I had not been feeling ready, but I thought maybe just for practice I could do it, since it was at home dojo, I am working again a couple of days a week, why not. My shots for the day were fair. Better than I have done in a while. I got 6 out of 12. Fair. Also no sensei came/said to correct some large mistake. So ok, I am thinking, I will give it a shot. I still have a few weeks I can maybe improve more and have more than a fifty fifty chance of passing, or at least 50/50. I would see how I did at the next practice. I went my regular Tuesday class. 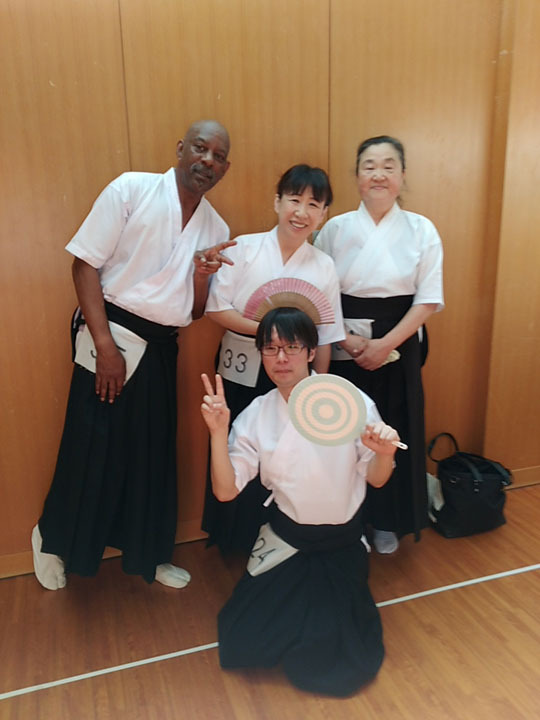 We did not have the usual kimono class, so we just practice. I did poorly again. Not surprised usually how it is goes. So I tried some adjustments. It is always those little adjustments. More training is needed, ganbatte I tell myself. I am asked by a couple of Sensei if I will take the Shinsa? I am hesitating I say. I need more training. One sensei says, you should, there is you and several others from here , and names them. Yeah I know…I reply. Another Sensei says do not wait until you are old and weak or something like that. So ne! I reply. One could say though, what difference does it make? It is not like you can make a living teaching Kyudo. Goals are good, but more important is enjoying one’s self and growing. Noting will change by me going to Yondan except my membership fee . LoL!!! I am having my entry paperwork, done today. At some point you just have to go for it. Sort of like setting off on a sailing voyage. One can always come up with reason to wait another month, year…but if one is going to do it, you prepare, but still ya gotta just go do it, at always be at the dock! At the least this is a shakedown cruise.